Tub Supply Lines. Obtain your Tub Supply Lines here now. NOTE: For inside tub wall installation ONLY. Adjust center to center from 2 1/4 in. to 11 in. Male thread to faucet is a standard 3/4 in. 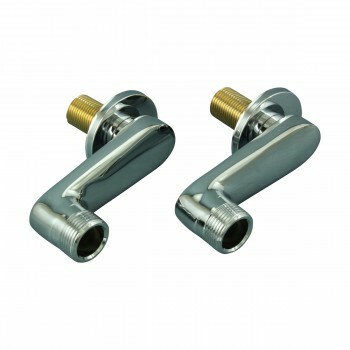 Chrome Tub Wall Supply Line Coupler Pair. Chrome plated solid brass tub wall mount supply line couplers are made to fit faucet numbers 13604, 13606, 13608, and 13610. Adjust to center to center spreads from 2 1/4 inch to 11 inch center to center. Includes coupler pair, rubber gasket, washer and 2 inch flange. Male thread to supply is a standard 1/2 in. Male thread to faucet is a standard 3/4 in. NOTE: For inside tub wall installation ONLY.